You want a smart TV this Christmas. It's more than a hot trend -- it's the future of TV viewing and it's already here. It can get tricky finding the smart TV that's right for you. Which features do you want and, a better question, how much do you want to spend? We have great news this holiday season. It's a snap to make your TV smart and you can do it for as little as $24.99. Why do I want a smart TV? A smart TV is a TV set that connects to the internet. That includes most TVs you'll see on storeshelves these days. But check your TV set. It's smart capable if you see an Ethernet port where you plug in your internet connection. You will dramatically increase your TV viewing options once you're connected. You can stream thousands of FREE TV shows and movies on streaming channels like Crackle and CBS News, so you can watch what you want whenever you want. Amazon's Prime streaming service is free if you're a Prime member. Prime has original TV shows like "The Grand Tour" and movies such as "Creed." You can pause, stop and rewind with a smart TV. Plus, there are other ways you can interact with TV since you're connected to the internet. There are some smart TVs and streaming media boxes and sticks that turn your TV into a smart TV. They all let you stream content like a smart TV does and some of them have added features like voice-activated remote controls. I know! That sounds like you're about to spend a ton of money just as your straining your budget on Thanksgiving meals and Christmas and Hanukkah gifts. There are a couple of ways to get a smart TV this Christmas. You can spend a few hundred dollars on a smart TV set - and prices keep coming down. Or you can start streaming TV shows and movies for less than $60 with a streaming stick like Fire TV Stick or Roku Streaming Stick, or a streaming box like Apple TV or Roku Ultra. Here are three smart TV sticks and boxes that we like. You'll find the features are great and the prices are right! You love Amazon's smart speaker Echo and Echo Dot. It's the voice-activated speaker that you use to play your favorite songs, podcasts and to hear the weather, have Uber pick you up or have a pizza delivered. It's a great, revolutionary way to use the internet. "Alexa, play Christmas songs." Now, you can use Alexa with your TV remote control with Amazon's Fire TV Stick with Alexa. You can save lots of time and energy by speaking, rather than scrolling and typing. "Alexa, play 'The Marvelous Mrs. Maisel.'" The Fire TV Stick with Alexa is $39.99. But Amazon is going to slash that by $15 in time for the holidays. Fire TV Stick with Alexa Voice Remote will be $15 off, only $24.99. Tap or click here to get this Fire TV Stick with Alexa at Amazon. If you're a TV buff or just enjoy a crystal-clear image, you know about 4K TV - it has four times the resolution of standard HDTV. You'll want a 4K streaming stick to watch your favorite TV shows and movies. The Fire TV Stick 4K also comes with Dolby sound, so you'll feel like you're in a movie theater watching NFL football, blockbuster movies like "Black Panther" and TV shows like "Orange is the New Black." 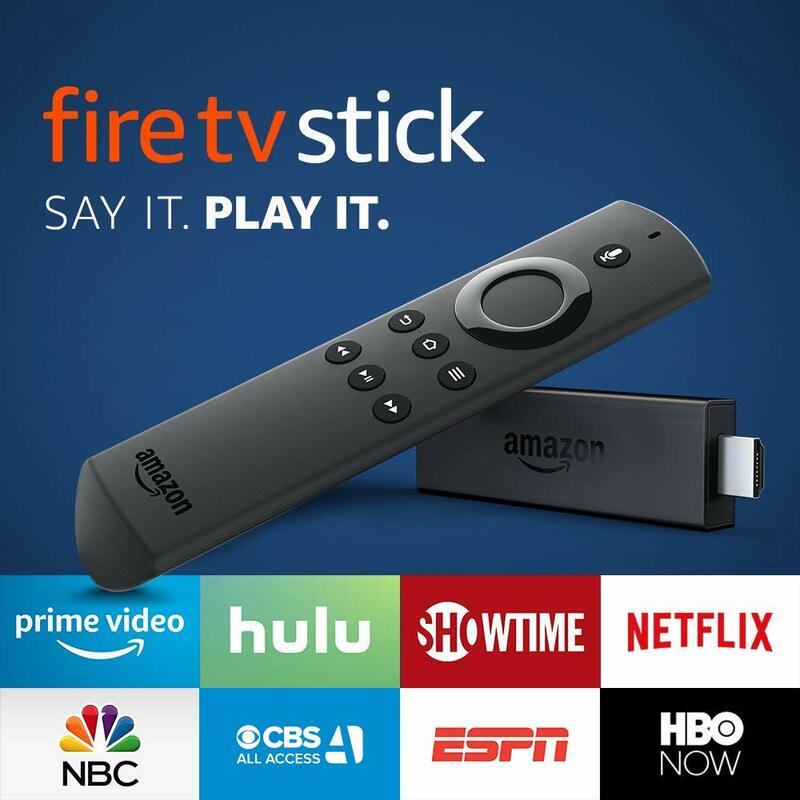 Like other streaming sticks, you can stream about a half-million movies and TV shows with Fire TV, many of them free. Plus, you can connect to websites like YouTube to watch even more content. Fire TV Stick 4K with all-new Alexa Voice Remote is $15 off, only $34.99. 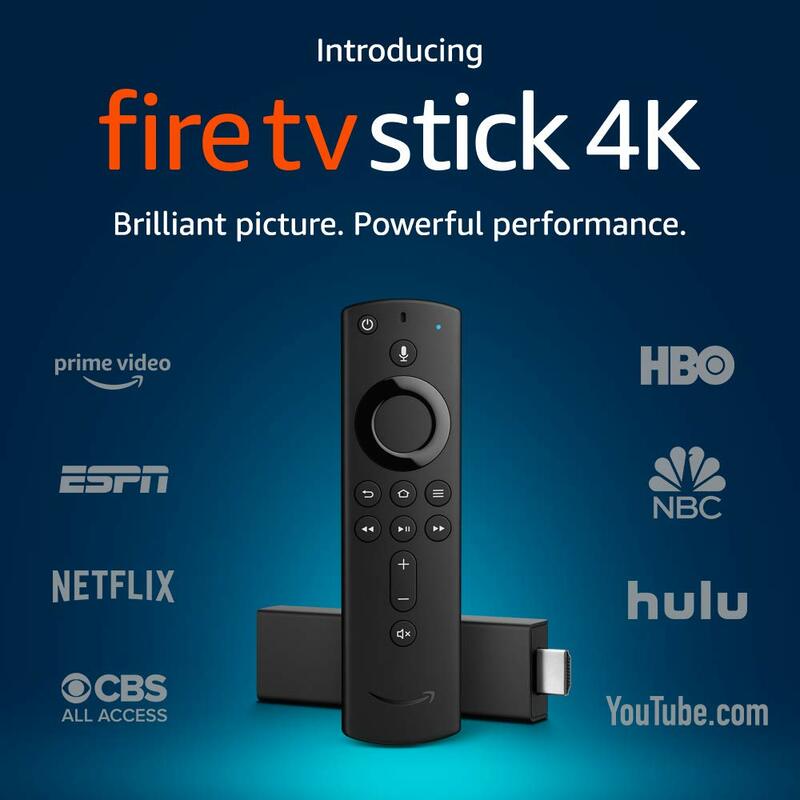 Tap or click here to shop for the 4K Fire TV Stick at Amazon. This is the way you were meant to watch TV! Everyone in your family will love this hands-free streaming cube from Amazon. It lets you speak to it from anywhere in the room to change channels, search for content, pause, rewind and ask for weather and news updates like you do with Alexa on your Amazon Echo smart speaker. This Fire TV Cube uses far-field technology and eight microphones to hear you. Beamforming technology means it will hear you from any direction. You'll see crisp images with 4K Ultra HD at 60 frames per second. You'll clearly hear dialog and every sound effect with Dolby Atmos sound. Fire TV Cube with Far-Field Voice Control and 4K UHD/HDR is $60 off, just $59.99. 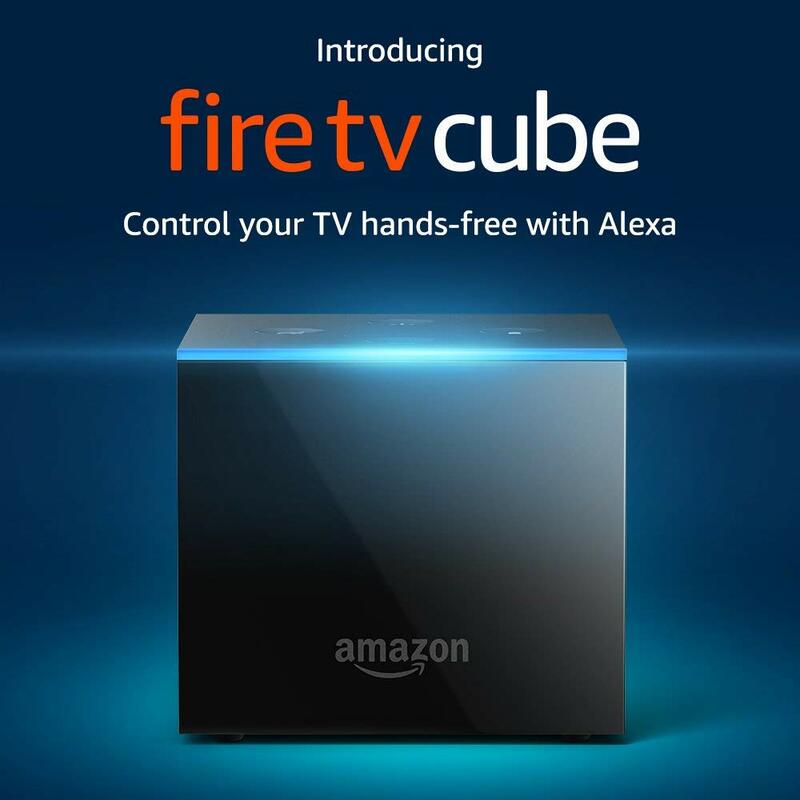 Tap or click here to get this Fire TV Cube at Amazon. It doesn't matter if you're a tech guru or a tech novice. You still have no idea which tech gift your kids and grandchildren want to open on Christmas morning. Great news. We've handpicked these five tech gifts that every kid in your life will be thrilled to unwrap. Click or tap here for gifts that your family will love!